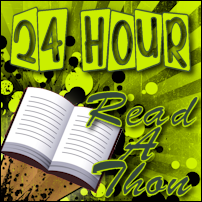 Reflections of a Bookaholic: Dewey's 24 Hour #Readathon: Hours 4-? Dewey's 24 Hour #Readathon: Hours 4-? It's Hour 4 and I'm just getting started. I'm here in San Antonio with the Hubby and reading in a hotel. I may stick to one update post. We will see. 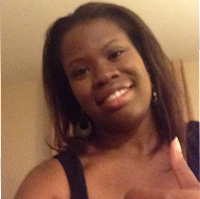 This time, I'm going to forego the challenges and focus on reading and having fun on Twitter. This seems the best plan considering my hectic schedule today. I've got a wedding to go to that starts during Hour 11. And then I'll get back to San Antonio tonight. Soooo... I'll Update when I can. Even though it's crazy, I'm still super excited and plan to get around and visit as much as I can. I've got twitter and I've got my iPad so I'm going to get it done. Wrap-Up: I completed the readathon. Yay! I finished Backlash and nothing else. I had a good time but really missed the social aspect. I'm already counting the days till April's readathon. Status: Still here. Not much changed. I'm reading a great book but it's so loooonnnngg! Hour 20: Whoa that's a big jump! Status: I've been reading off and on between traveling and a wedding and celebration. As expected, I had trouble updating while away from my computer. Oh well. Now I'm back in the hotel and ready to go. See my ready to go face? Currently Reading: I'm still on Backlash but that's my fault because I chose a 500 page book for my first readathon book. Oopsey! Please excuse my party hair. Long night okay. Status: Just getting started. Eek! 3) Which snack are you most looking forward to? I haven't picked them yet. Eek! 4) Tell us a little something about yourself! I love this event and I love meeting new people so if you stop by, leave a comment so I can come visit as well. Look forward to meeting everyone. 5) If you participated in the last read-a-thon, what’s one thing you’ll do different today? Ummm... I'm tailoring the readathon to my needs. This year I'm stuck with the Hubby and I'm traveling and I'm going to a wedding. So I'm narrowing my goals and I'm using the flexibility of the readathon to my advantage. I just love this! Hey girl! So glad you are getting some reading time in while you are traveling. Love it! Have a safe travel and reading on. Thanks! I'm finally back and still giving it a shot. I wasn't tired at all....until I started reading about your cushy pillows. Oh, my. The yawns might be closer than I thought. Hope you can push them back and keep up with the reading. I'm cheering you on, from Team Panda: woot! Haha the cushy pillows were definitely my downfall at the start of the readathon. Looks like you're on the way to my town. I think it's really a good idea to tailor the read-a-thon so it's successful for you. Happy reading! Thanks! I've had to tailor a few times. It's not ideal but that's life and I'm fine with that. lol, I had to ignore the fact that OU was playing Texas today too. You're doing great, even with all the distractions. I'm impressed! Thanks! I couldn't ignore the one time this season that TEXAS looks like TEXAS. It would be on readathon day.